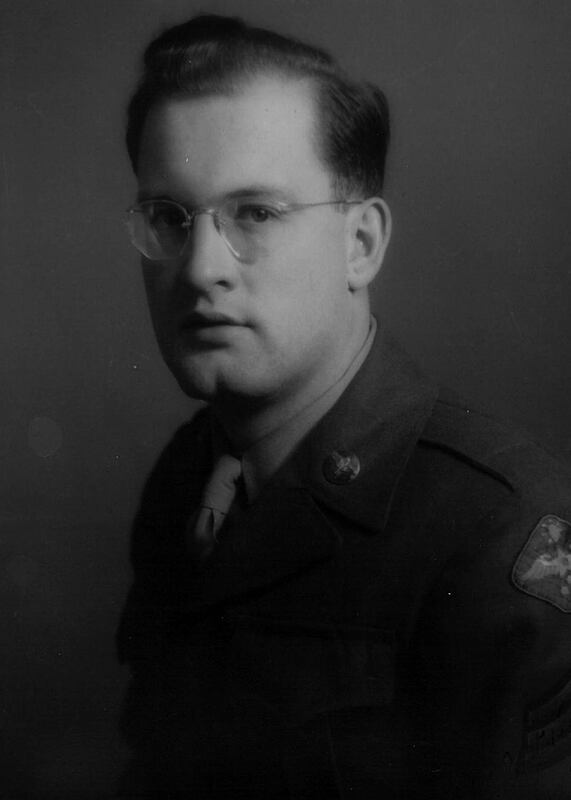 Ward E. Falor is pictured while in the Army Air Corps during the occupation of Japan. (Witness) History 15 May 2003 "On May 15 2003, Humboldt County lost a statesman. Ward Eugene Falor died of complications from advanced Parkinson's Disease. Ward was a fourth generation Humboldter, born to Elmer E. (a tallyman with Holmes Eureka Lumber Co.) and Myrtle Keyser Falor (a school teacher) on February 12, 1922, in Cutten. Ancestral homes on the North Coast included a trading post on the Forks of the Salmon River which was opened by his Great Grandparents shortly after the area was settled by non native people; Maple Creek; Arcata Bottom; Cutten; and Eureka. Ward attended Marshall grammar school before attending Eureka High School from which he graduated in 1939. In 1940, Ward entered Humboldt State where he majored in business education and art, until his education was interrupted by World War II. Ward then served as a flight mechanic and gunnery tester with North American Aviation from 1942 to 1944, then enlisted in the U.S. Army Air Corps. Ward served from 1945 to 1947 in the Arm2003 of Occupation in Tokyo, Japan, until he was discharged with a service disability after surviving a plane crash in Japan. Ward then returned to Humboldt State College taking Pre-Pharmacy classes. During the summer while at HSC, Ward worked highway construction as a Cat Skinner and Mechanic. University of California School of Pharmacy in San Francisco was Ward's next educational experience which culminated in his graduation in 1951 with highest honors at the top of his class, attaining the Bear Scholarship Trophy, the Rho Chi Science Scholarship Key, and the Kappa Psi Scholarship Key. While at Cal, Ward was President of his Senior Class, and President of the Stein & Serpent Society, and was a member of the Cal Club Interschool Coordinating Committee. From 1951 to 1953, Ward was a representative for Barnes Hind Laboratories and also worked in drug stores throughout the East Bay as a relief Pharmacist after passing his California State Pharmacy Licensing Examination. In March of 1953, Falor's Pharmacy, the first of may pharmacies was opened by Ward and his wife. The other Pharmacies Ward owned included Villa Pharmacy in McKinleyville, Buxton's Drugs, and Arcata Family Drugs. Ward was also an Independent Small Business Consultant from 1962 until he retired. From 1972-1973, Ward did business consulting fro Mad River Community Hospital and was very active in the effort at the State level to allow there to be a hospital in the Arcata area after Trinity Hospital was slated for closure. After leaving his hospital post, as administrator, Ward was an administrative consultant for Arcata Family Medical Group. During this time Ward also served on the Pharmacy Peer Review Committee with Blue Cross. New experiences intrigued Ward, and in 1974 he received his Emergency Medical Technician Certificate from College of the Redwoods. Ward was President of the Arcata Health Council from 1954-1956, a member of the Arcata Planning Commission from 1954-1956, and was the President of the Arcata Planning Commission from 1958-1960. During his service on the Planning Commission, the first General Plan for the Arcata Area (which was also the first plan in Humboldt County was initiated and the plans for the Arcata Harbor were first introduced (1958). Ward was elected to the Arcata City Council for the first time in 1960, and helped to organize the Local Agency Formation Commission where he served as the first Chairman. During this time the council successfully bonded and constructed a new water system. Ward served as Mayor from 1962 to 1964 during which plans for the new City Hall were initiated, as well as the sanitary land fill. In 1964, Ward ran unsuccessfully for the California State Senate. In 1965, Ward was reappointed to the City Council, and was re-elected in 1966, during which time, plans for a new sewer system, and Harbor & Marina plans were initiated. Ward pushed for the formation of the Humboldt Bay Development Committee, and carried it through to commission status by helping to facilitate joint powers agreements between Humboldt County, the City of Eureka, and the City of Arcata. Ward served as Vice Chairman of this Commission after its formation. Ward also helped create the Arcata City and Humboldt State Liaison Committee, and served as its chairman. This committee enabled HSC and Arcata to agree on freeway plans. Ward served as acting chairman of the Mayors and Supervisors Committee for Area Wide Planning and HUD Processing. During his time on the council, Ward convinced the council not to sell the Jacoby Creek Watershed. Ward again served as Mayor of Arcata from 1966 to 1970. The years served by Ward as Mayor of Arcata total 7, the longest any one person has served as Mayor of Arcata. In 1969, Ward received the Eagles "Hometown Builder Salute". Ward was also a member of the California Coastal Zone Conservation Commission (an appointment by the Governor of State of California). From 1973 to 1976 this Coastal Commission reviewed and acted on more than 25, 000 permits. The creation of the Arcata Pool was one of Ward's pet projects. In October of 1987, long after his retirement from public service, the Arcata City Council recognized Ward for his contribution of time and expertise to the Arcata March Project's inception. The 1964 resolution from the Arcata City Council summed up the contribution that Ward has made for this community: "The people of this area will benefit from his tenure of office for many years to come." Ward has been active, in Kiwanis, Veterans of Foreign Wars, American Legion, Rotary, Knights of Columbus, and St. Mary's Catholic Church. His hobbies included boating (both sail and motorized), swimming, skiing (both water and snow), back packing, trailering, rock hunting, and horsemanship. Ward is survived by the love of his life, Jean Schussman Falor, and their Children: Ward Michael Falor and his wife Patricia Villalobos Falor; June Lantheaume and her husband, Mike Lantheaume; Kathryn Falor Wethey and her husband Jack Wethey; and the Honorable Tamara C. Falor, Humboldt County Counsel. Surviving Grandchildren include: Aileen Stewart; Mike May and his wife Brenda; Constance Jackson; Milo Falor; Tina Lantheaume Jackson and her husband Chris; Tammy Lantheaume Cardwell and her husband Robert; Nicholas Falor; Breanna Wethey; and Cole Wethey. Surviving Great Grandchildren are Zachary Stewart; Michaela May; Willa Jackson; and Dylan Cardwell. Ward was preceded in death by his beloved first born son, Burke Falor; his parents; his Uncle Albert Falor; and his brothers Fred and Burke Falor. " 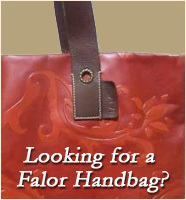 [S109] Tamara Falor, "Tamara Falor Emails," e-mail to Kenneth Falor, Thursday July 26, 2012.